Take a trip through our landscape. Enjoy the local drives and walks around the Waikerie region. Discover lagoons, backwaters, history, bird hides, wineries and more on the way. A Murray River connection is best experienced on a houseboat. 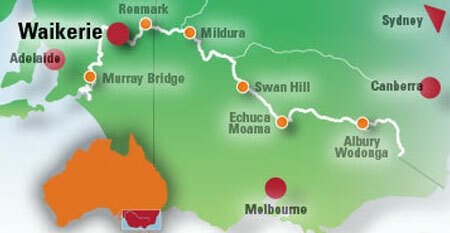 With some of the remotest river stretches in the Riverland you'll love your houseboat holiday around Waikerie. So many things to see and do in Waikerie! Don't be caught bringing fruit and vegetables into the Riverland from outside the region or from interstate and Adelaide. See more. We'll rock your socks off or push you hard through the True Grit challenge.